Do you fancy developing your skills and working with the community? 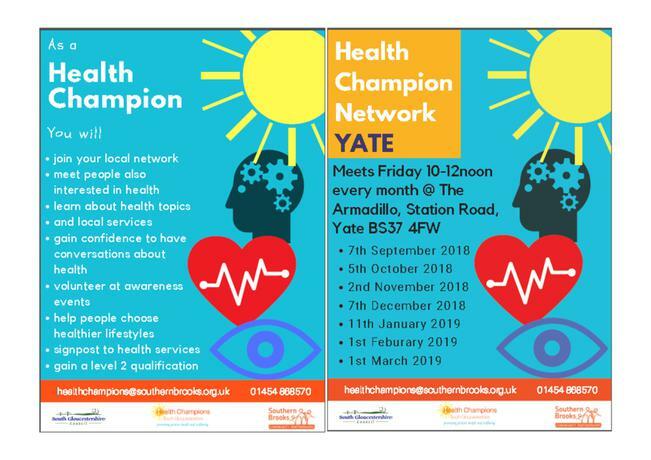 You could become a Health Champion and gain a qualification too. See below for further information. Call 01454 868570 to speak to the team at Southern Brooks if you have any questions, or attend the drop in on 7th September.